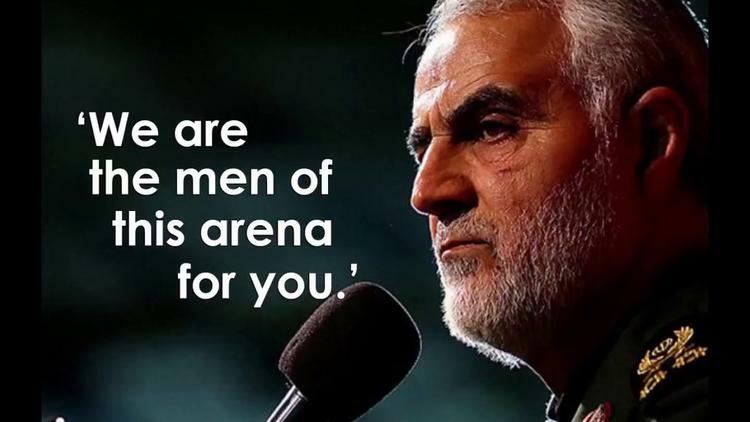 Qasem Soleimani, the head of the special operations Jerusalem (Qods) Brigade of the Iranian Revolutionary Guards Corps, spent Thursday morning taunting US president Donald Trump, whom he called a casino gambler. Trump on Sunday sent out an all-caps tweet threatening Iran with condign punishment if it ever threatened the United States. Trump’s tweet was, of course, an invitation for all 80 million Iranians to threaten the United States, accompanied by the Persian version of the Bronx cheer. Iranians are mostly Shiite Muslims, who have a special attachment to the martyred grandson of the Prophet Muhammad, Husayn bin Ali (d. 680), and who hold annual mourning rites for him. Willingness to sacrifice and court martyrdom in emulation of Husayn, he is saying, is ingrained in the Iranian character. Soleimani reminded Trump that despite having sent 110,000 troops to Afghanistan along with massive amounts of sophisticated weaponry and equipment, the US has not prevailed over the Taliban, and indeed is now seeking peace talks with Taliban leaders. He then instanced Iraq, where the US sent 160,000 troops and weapons and equipment and faced the most horrific events. And now, he asked, you threaten Iran? 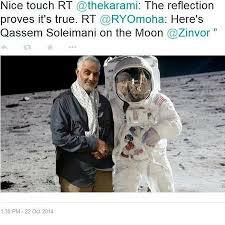 Soleimani is jokingly sometimes called “Super-Mani” in Iran because he seems to be everywhere and to have accomplished the equivalent of leaping over tall buildings in a single bound. He organized the Iraqi Shiite riposte to ISIL terrorism, and has been seen in Syria helping orchestrate the battle against Sunni extremists linked to al-Qaeda. Soleimani also reminded Trump of the relative failure of the Israeli attacks on Gaza, and of the failures of the US-equipped UAE and Saudi militaries in Yemen to achieve a quick and decisive victory over the Houthis in Sanaa despite the Gulf States’ enormous advantage of $200 billion in American-supplied, cutting-edge weaponry. Soleimani expressed his firm support for President Hassan Rouhani, who had promised Trump that peace with Iran is the mother of all peace, but warned him that a US war on his country would be the mother of all wars. The speech shows how hardliners and centrists are being brought together inside Iran by the Trump threat. There seems to me a real danger in all this belligerent talk from Iran, in response to belligerent talk from Trump and his capos. (On the danger of blowback from the latter, see my article in The Nation this week). The Iranian leaders should be aware that George W. Bush and Tony Blair discussed ways of baiting Saddam Hussein into attacking UN flights or personnel, so as to provide them with a pretext for launching their planned invasion of Iraq. Iran should take a deep breath, talk to Macron, Merkel, and Xi, and step back from this brink. They are underestimating Trump as a street fighter. But note that Soleimani is not threatening an attack on the US in this speech, but promising a determined and deadly guerrilla war if the US assaults Iran. Well, he also seems to be warning Trump that Iranian secret agents can get to him. I don’t think this is true, unless the Jerusalem Brigade has a female stripper platoon.